All summer long I had this song stuck in my head, particularly the lyric “she’s got me high as a Georgia pine, wild as a muscadine (pronounced musky-dine, naturally) vine…” It was on continuous play in my mind, over and over and over again, only occasionally alternating with useful things like thoughts. Don’t worry, since we started the school year it’s been replaced by the old favorite, Froggy Went a Courtin‘ which is infinitely more obnoxious to sing around fellow adults better. 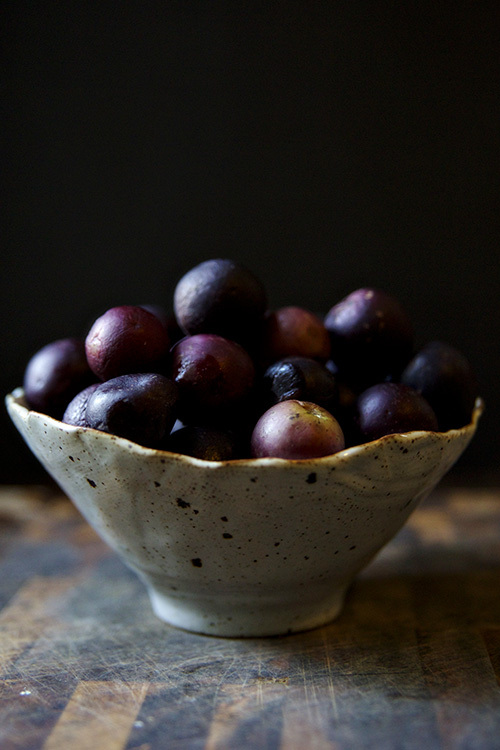 When I saw local muscadines in the market, I scooped up a pound. The state fruit of North Carolina is the scuppernog, a variety of muscadine, something I knew I’d be returning to it sometime soon for Tasting North Carolina. I couldn’t resist the opportunity to make a quick jam, something to add to my list of preserves I’ll be gifting this holiday season. The jam is fresh muscadines, cane sugar, a squeeze of meyer lemon, and a bit of salt. 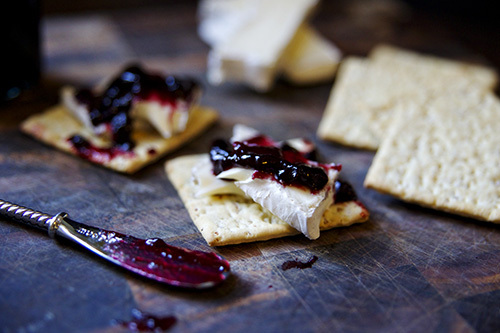 Muscadines are a sweet, robust grape, so this jam doesn’t need much to enhance the flavor. I opted to strain it for a smoother finish, but left chunky it would be the perfect pair for a pork roast or glaze for a ham. 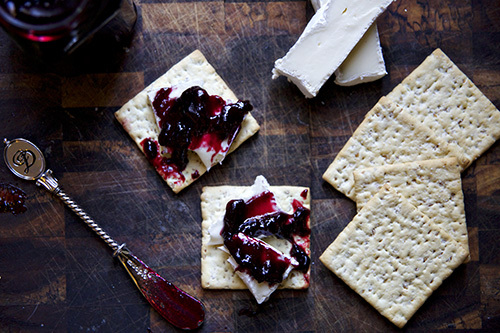 As it is, wrapped up with a wedge of brie and an assortment of crackers this jam will be the perfect something to slide into a stocking or present as a hostess gift. 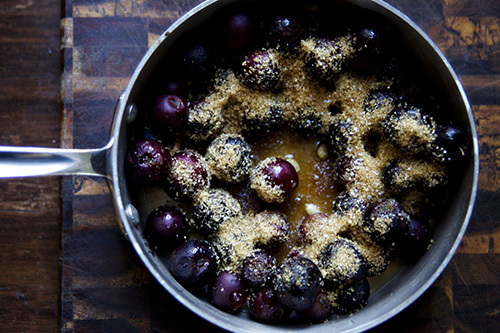 In a saucepan combine grapes, sugar, lemon juice, and salt. Simmer for 30-45 minutes until thick. Stir in pectin and simmer an additional 10 minutes. In a waterbath boil jars and lids. Push jam mixture through a mesh strainer to create a smooth jam, or leave the grapes in tact for a chunky preserve. This looks so gorgeous! My uncle always talks about muscadine wine. I am sure he would adore this! I’ve got gallons of scuppernongs and gold muscadines in the freezer from my childhood home that I just haven’t gotten around to. I almost always prefer jam over jelly, so I’m so happy to see this recipe! Did you leave the skins on? Or did you remove skins and seeds? Thanks in advance! Yum! Because I pushed the jam through a strainer to catch the skin and seeds, I didn’t bother to remove them first. But if you wanted a pulpier jam you absolutely could!